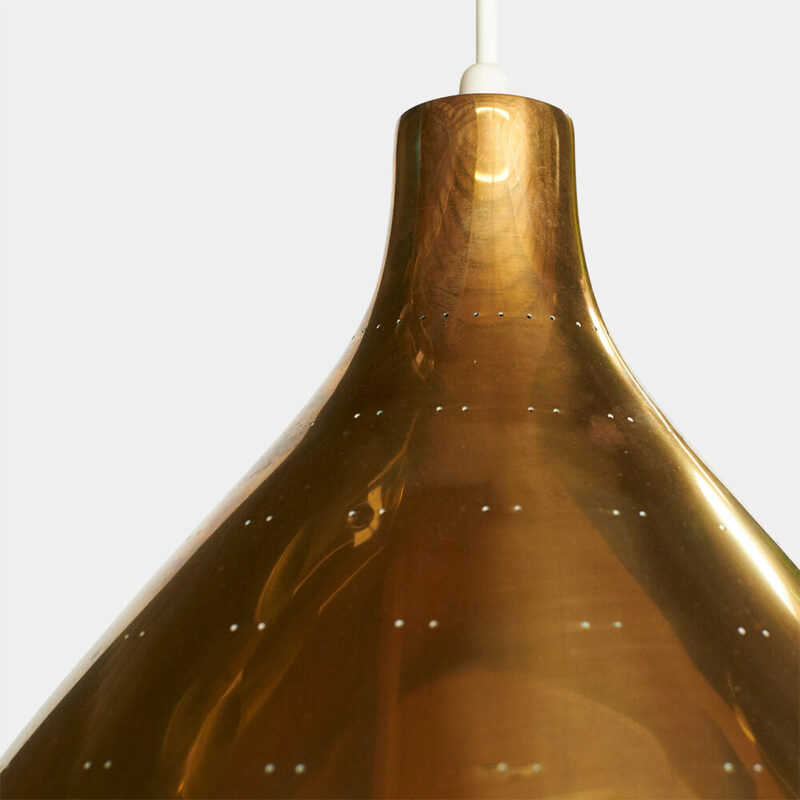 A large edition of the K2-46 chandelier by Paavo Tynell for Idman. 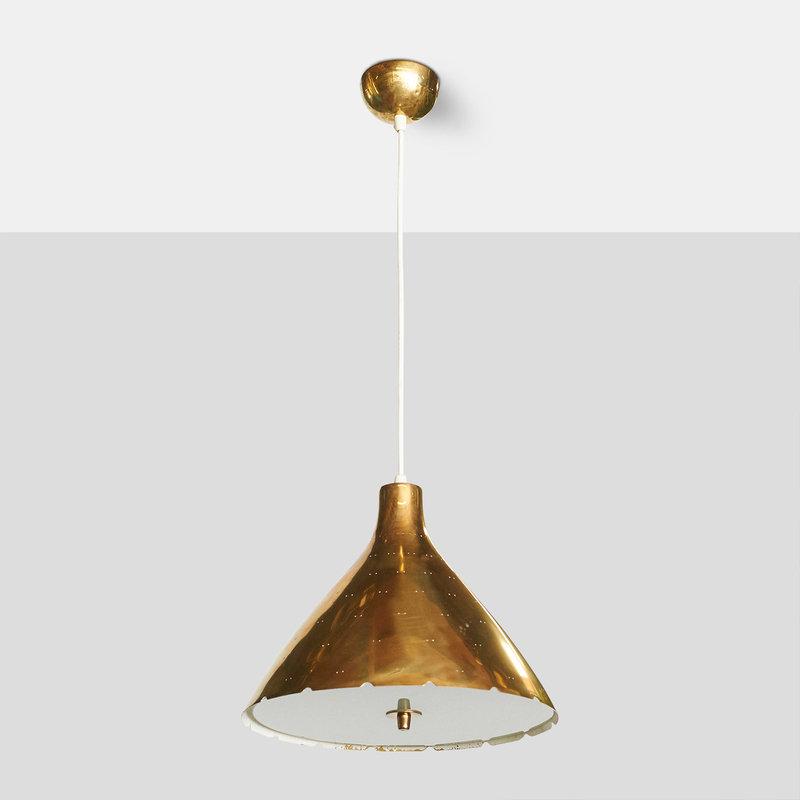 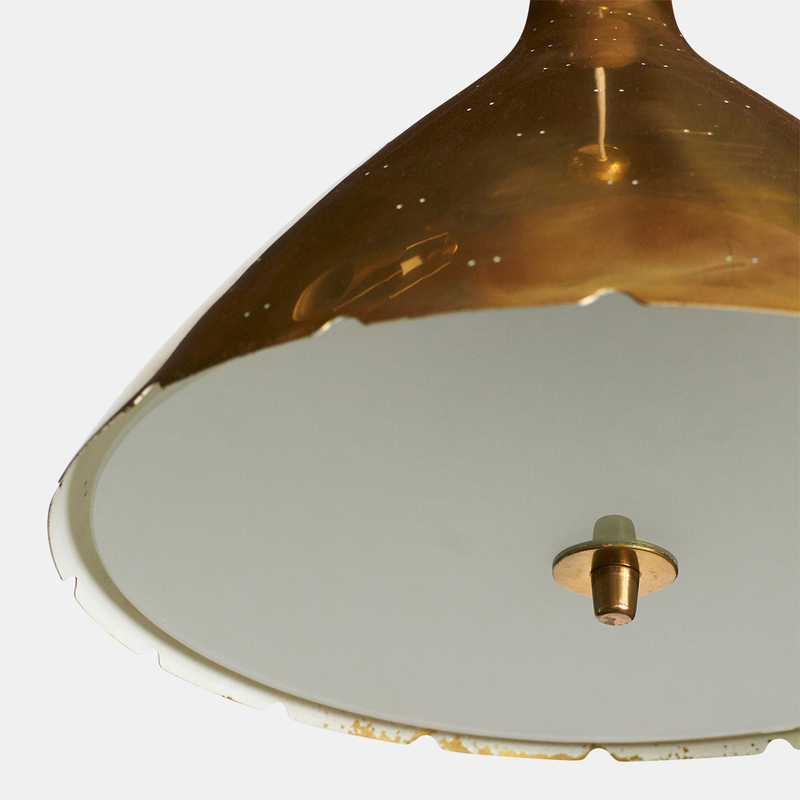 The brass shade has twin dot perforations, scalloped edge detail, and a etched glass diffuser underneath. 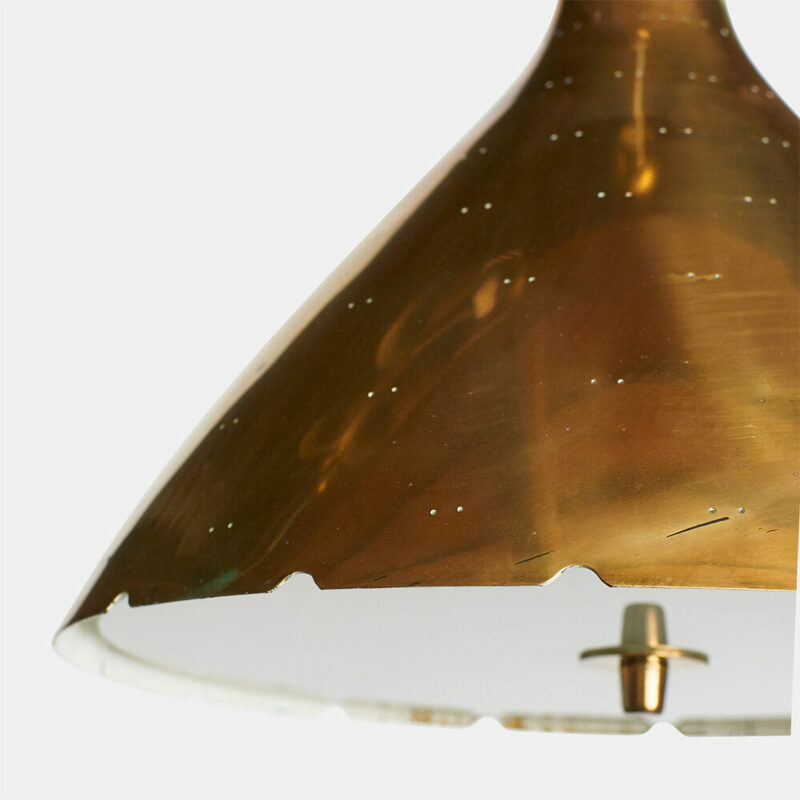 The overall length can be adjusted and specified.